Police Brutality & Police Misconduct Happen All Across Country But What In LA? On behalf of Admin of JML Law, A Professional Law Corporation posted in Police Misconduct on Friday, Aug 03 2018. When we go out in public, the last thing we are thinking about is encountering a violent situation. For most places in this country, people can go outside without fear because our police forces are active in the community. But what happens when the police abuse their power? What if they are the reason you get hurt? There can be nothing scarier than the people we trust to protect us from lawbreakers turning on us. It is a scary situation, especially for law abiding citizens. If you have been the victim of violent behavior by a rogue police officer, you may need a police misconduct attorney in Los Angeles. At JML Law, our experienced attorneys will fight for you. From Missouri to New York, Charleston to New Orleans, the last few years have made us aware that there is a problem in the many police departments around this country. Here in California, it is no different. There are some men and women in the police forces who use their power and authority as an immunity shield. They treat everyone as if they are criminals and often react violently towards innocent people. We’ve seen the rise of the Black Live Matter movement. It has shown the country the injustices that take place on a daily basis that are created by law enforcement, not just against people of color, but against all Americans. Being in the wrong place at the wrong time doesn’t mean you should get hurt. People of color and those who have a low income are more likely to be victims of police violence. Despite the spread of body cameras in many police department, we still see instances of blatant abuses of power. Sometimes the offending officers are fired. Victims of police abuse have more than just physical injuries. They suffer emotional damage that can last a lifetime. There have been links to PTSD developing in people, and entire communities, who suffer systemic police brutality. This can be even more traumatic for children who suffer brutality at the hands of police officers or see their loved ones suffer. Even if someone is charged with a crime, it does not give law enforcement a green light to physically abuse them. The Constitution is there to protect everyone in this country, not just the ones who are doing the protecting. 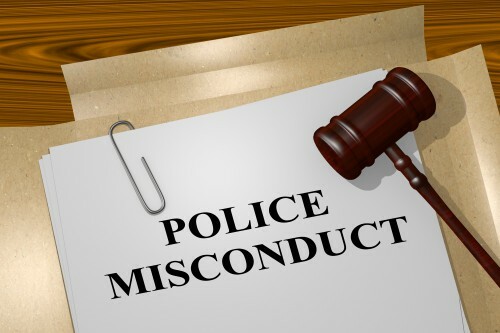 If you or a loved one have been hurt by a police officer, you may need a Los Angeles police misconduct attorney. Don’t let the people who are sworn to protect us get away with actions and behaviors that jeopardize you or your family. You have rights, and if the police violate those rights, you need a voice. Now more than ever, it is important to bring these actions to light, exposing those who abuse their authority. At JML Law, we will be your voice. You can contact us by clicking here or calling us at 818-610-8800.